When you decide to take a break in one of these parks, look for the fountain. In the 19th century, when famous architects and city planners came to Cuba to supervise construction, fountains took centre stage in the buildings of new avenues and plaza. In the city, some fountains are more public and some are more private. Large and imposing or small and humble, they are scattered throughout the city from posh residential areas to working-class neighborhoods. Today, the older fountains, which have witnessed the transformation of Havana, are interspersed with more recent fountains that are ready to receive the fluttering wings of birds and the endless playfulness of children. 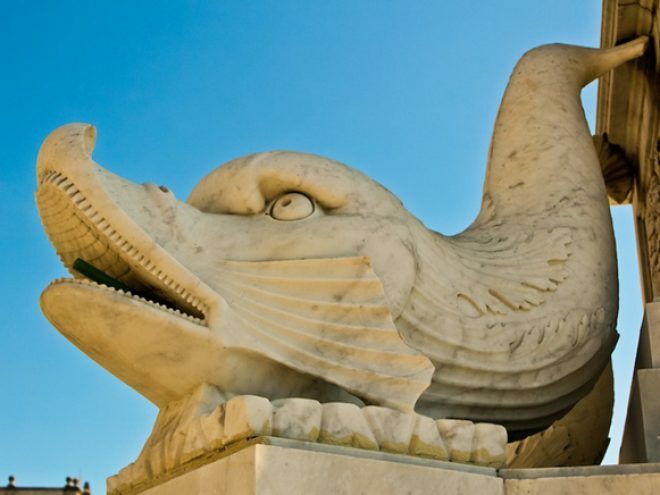 The Neptune Fountain, began in 1836, was imported from Italy and situated on the avenue along Havana’s port. Besides its ornamental function, it supplied water to three boats at the same time. After it lost this role in 1871, it was successively relocated to various corners on Paseo del Prado, the small plaza attached to La Punta Fortress and a park in Vedado, where it remained for many years until it was finally rescued by the Historian’s Office of Havana and returned to its original site. Built around the same time as the Neptune fountain, the Fuente del Conde de Villanueva in the Plaza de San Francisco in Old Havana is made of white marble with a fluted column and four lions resting on pedestals whose mouths spew water. Fountains have also been built to pay tribute to illustrious Cubans who have helped to make our lives more enjoyable. The fountain on Obispo Street (near El Floridita) immortalizes Don Francisco de Albear, the engineer who designed Havana’s aqueduct, which is considered one of Cuba’s scientific wonders of the time. The 20th century saw the construction of new fountains. The Fuente de Las Américas, built as a tribute to the discoverer of the Americas, was inaugurated in 1924 as part of the construction of Avenida de las Américas, now known as 5ta Avenida. Made in white marble, four Nereids each hold the valve of giant oysters from which water slowly flows. The Fuente Luminosa, or Luminous Fountain, is found in the roundabout where 26th Ave, Vía Blanca and Rancho Boyeros Ave come together. This fountain, the first that visitors arriving in Havana often see, was built during Ramón Grau San Martín’s presidency in the 1940s. Because he was single, his brother’s widow Paulina Alsina served as First Lady and took charge of the fountain’s construction. Because Paulina was a large lady, the people mischievously called it “Paulina’s Bidet”. At the entrance of the world famous Tropicana nightclub, two fountains stand out: the Fountain of the Muses and the Fountain of the Ballerina. The former, designed by Italian Aldo Gamba, was completed in 1920. Originally placed at the entrance of the National Casino, it was relocated to Tropicana in 1952. The Muses fountain is a circle of dancers on the edge of a marble basin. The Ballerina fountain, located in the path leading to the Bajo las Estrellas and Arcos de Cristal lounges was made in marble by Cuban sculptor Rita Longa in 1950 and has become the symbol of the internationally known cabaret. Finally, there is the Fuente de la Juventud–Fountain of Youth—which was made in August 1978 for the 11th Festival of Youth and Students held in Havana. Its design was based on the Festival’s logo and it is located at the end of Paseo Street just off the Malecón. In the end, there is no shortage of fountains in Havana and, if fountains and their history interest you, then you can spend hours travelling around Havan in search of the well-known and more hidden fountains of the city.